Orbit Screens machines have found a special use by the U.S. Army — landmine detection. One day around 2005, as Brad Schnittjer remembers it, he was conducting a fairly routine field day demonstration with one of his screening plants at a dairy farm in Virginia when a man approached him asking several intriguing questions. The results of that day pointed Orbit Screens Inc. in a surprising direction — one that serves as a deep source of pride for Schnittjer, the company's founder and president. His small screen-plant manufacturing facility in tiny Delhi, Iowa, 40 miles west of Dubuque, now has a large reputation for building a simple, but versatile, machine with often life-saving capabilities. Schnittjer then introduced the man to the dealer, who gave the man a quote and soon enough, a deal was made to sell him an Orbit Screen plant. Schnittjer later learned that the machine was being tested for a special use by the U.S. Army. The officer's name was Chris Wanner, a project engineer for the Department of Defense in its Humanitarian Demining R&D Program (HDM). The goal of the military's effort is to develop or, in the case of Orbit Screen plants, to find off-the-shelf equipment that can be modified to excavate and safely remove hidden anti-personnel landmines. Without telling Schnittjer exactly how his screen plant was being used, Wanner invited him to come to Virginia to discuss its potential use. 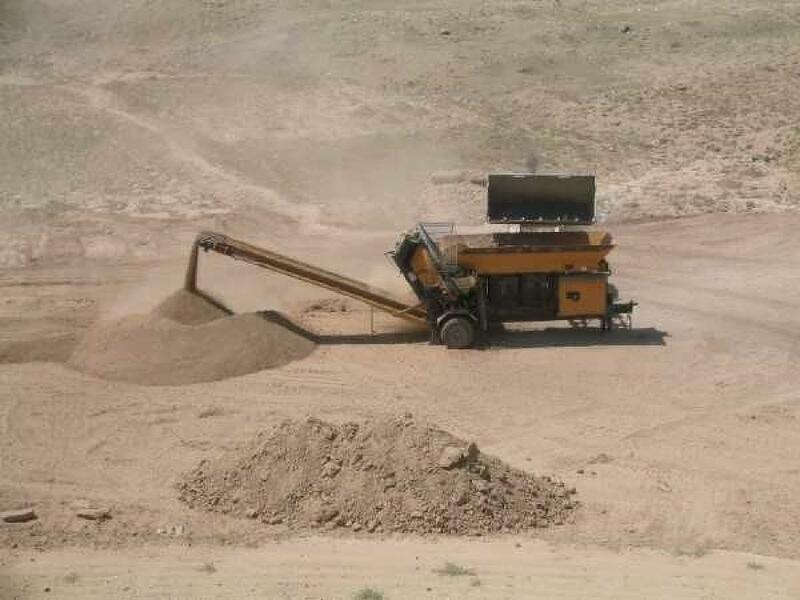 He was finally told what the Army was thinking and that the DOD wanted to change the conveyor on the screener to better suit its needs. After getting an eye-opening demonstration of just how the HDM was using his Orbit Screen Model 68A, Schnittjer admitted that he was “dumbfounded and pretty proud” at the same time. At a testing facility at Fort A.P. Hill, near Bowling Green, Va., about an acre of land was planted with 330 plastic landmines. For safety reasons, no explosives were placed within the mines — only the detonators. As Schnittjer watched, excavators pulled up the dirt (and the mines) before putting them into the Orbit Screen plant hopper. After going through the rotating screen dish, every detonator and mine was still, remarkably, intact when they were separated from the soil and sent out onto the conveyor. “Well, the Army and DOD people were just overjoyed with what they found because they had never seen anything like that before,” he said. Immediately, the benefits were clear: the potential for a non-lethal method of sifting dirt and rock looking for landmines. It was quite a turn of events for Orbit Screens, which offers simple, high-performance equipment in a compact, reliable, easily-maintained and affordable package. 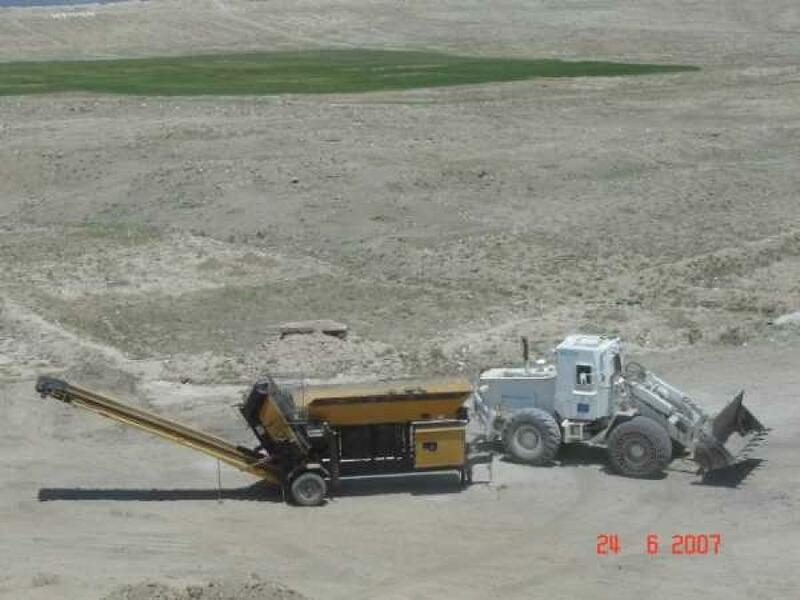 Then and now, the company's machines screen topsoil, compost mulch, log yard waste, quarry strippings, asphalt millings, scarified asphalt, road base, river rock and buried junk. The Orbit Screen Model 68 also was tested by the HDM in tandem with a skid-steer loader and a rock crusher, leading the Army lab to conclude that all three pieces of equipment “used either alone or as part of a system…met or exceeded the challenge provided by the test protocol.” The final report on the HDM website also said the machines could clear mines regardless of the threat or difficulty of the environment or terrain. The same paper said the Orbit Screen 68A “performed without a single mechanical or operational problem” during the rigorous testing. 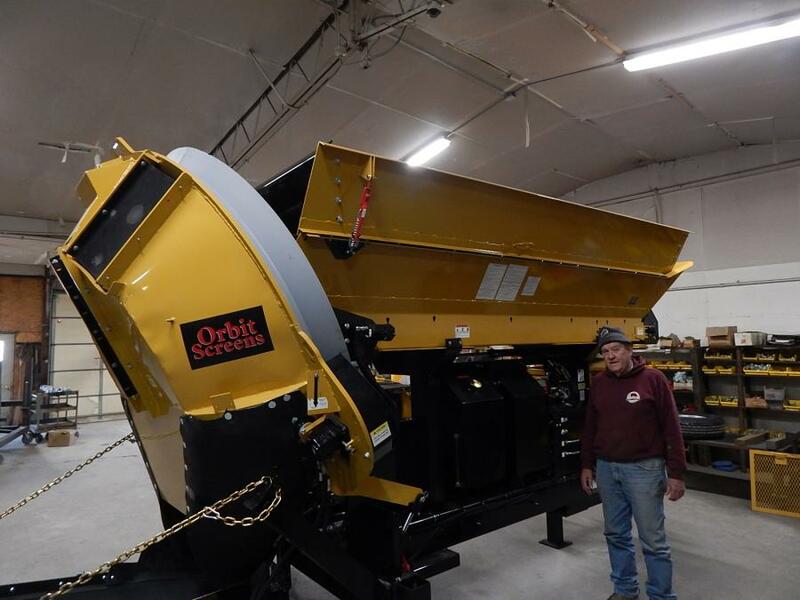 The Orbit Screen Model 68 series is a stand-alone sifter that accepts soil, rock and other material that is lifted into the hopper, located on the top, that then conveys it into the dish-like screen. The rock and materials, including small anti-personnel mines in former or current war-ravaged parts of the world, tumble within the screen in a circular motion. The smaller soils fall through the mesh, while the larger pieces (including mines) are carried away from the screen plant. The obvious question, then, is how does a landmine not explode during the screening process? One would think that the tumbling of rock and dirt onto a mine would detonate the charge. He explained that when an excavator dumps into the Orbit Screens hopper, explosions can occur with dirt and rock rolling onto them, but the force of the blast is sent upward out of the top opening of the armored machine and away from anyone working nearby. Each machine used in the operation, too, is operated by remote control by personnel located at a safe distance. Still, though, landmines detonating during the screening process are exceedingly rare, according to both Schnittjer and available DOD documentation. “The reason is because our screen dish is turning the dirt in the same direction that the ordnance is falling, so there is not a big change in velocity and pressure on the mine,” he reported. “The plastic itself is light and will immediately float to the surface of that rolling mix. As the mine is on the surface and falling out, there is nothing that can really get to it. That first Orbit Screen 68A discovered working at a farm in Virginia was eventually donated to The HALO Trust, a humanitarian organization first founded in Great Britain in 1988. HALO and the Mines Advisory Group (MAG) are currently the two biggest humanitarian mine-clearance organizations, and Orbit Screens has worked with both to overcome the challenges of ridding the world of hidden ordnance. The two groups also have worked closely with the U.S. DOD's demining program. Due to the successful use of Schnittjer's Orbit Screen 68 models, Petts bought another one and took it into the African country of Mozambique, where it carried out anti-personnel mine clearance from stockpiled earth along a 70-mi.-long electric pylon line, which linked to South Africa. The work took approximately four years, with the Orbit screener being the predominant clearance machine, removing more than 10,000 anti-personnel mines and ordnance, Petts said. HALO's success in Africa led MAG to bring the Orbit Screens Model 68 series (A, B and C) to northern Iraq, where it worked on legacy minefields from the Iran-Iraq conflict, as well as barrier minefields from the Gulf War. In recent times, Schnittjer's screens have worked along the border minefields between Turkey and Syria, in the process of helping refugees navigate safe passage. Schnittjer thinks that approximately 15 of his screen plants are now in operation to help remove landmines in various locales, including along the perpetually-troubled Israeli-Lebanese border. But, he said, demining is an unusual application and it points out the general-purpose capabilities of Orbit Screens, which he feels is unique. 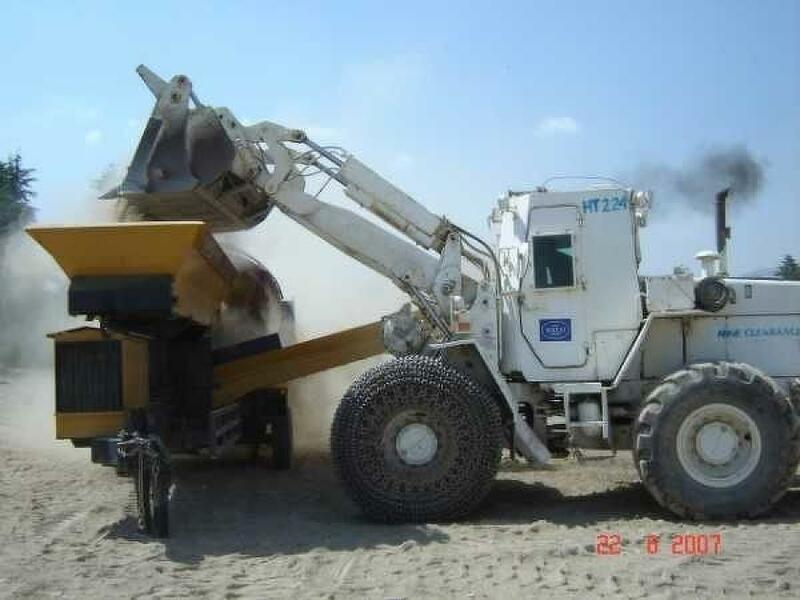 He added that his company didn't have to change the screen design, but just installed rubber-shielding to protect the machine from aggregate within it. The latest models of the Orbit Screen plants are the 68A-1 and 68A-2, stationary units that can have wheels attached to move around a work site like a farm implement. Orbit Screens has six employees at its Iowa facility, where they also do the welding and assembly of their product. All the fabrication is done in shops around the Delhi area, with the hydraulic components built by companies all over the country. His screen plants have been available in many dealerships, but Schnittjer said that, as his company is in a niche market, he and his staff have begun moving more of its sales onto the internet. The simplicity of the machines helps because there are not many wear parts to them, he added. If a user needs their machine serviced, they can call the company and typically get a part shipped to them within one day.